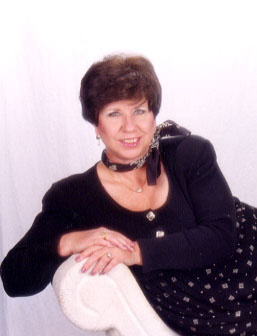 A gifted psychic all her life, Sataya became a professional psychic in 2003. She enjoys a global clientele with clients in.the UK, Tokyo, Hong Kong, Macao, Canada and, of course, the USA. Some clients have consulted her for over ten years and a few call her several times a week for her caring, compassionate advice. She will tell you what the potential is for a satisfactory outcome to your life question and give you pointers using Universal Spiritual Law to increase that potential through the creation of events and synchronicities. Sataya specializes in love relationships but assists clients with job and career issues as well. Having been the President/CEO of a health care corporation, she is well suited to advise individuals on steps they might take to further their careers. Since having sold her company a few years ago, Sataya now devotes herself full time to helping people when a love relationship is in turmoil or assisting them in reuniting with a lost love. Does she know how to get a love interest herself? Most definitely yes. She has received a proposal of marriage EIGHT times in her life! She can help you too. How does Sataya stack up against other psychics? To be sure, each psychic has their own gifts and it is up to you, the consumer to decide which psychic melds the best with you and your belief structure. We feel like Sataya might be the best fit for you for she is, indeed, unique. Only two percent of the world's population has green eyes. Sataya has green eyes. Only ten percent of the world population is left handed. Among those ten percent, only four percent are female. Sataya is, obviously female, and very left handled. She is a rare breed, indeed. It is important to know that Sataya will not lie to you. If she feels that a relationship is not good for you, she will tell you. As she says, "I don't think people want to pay me to blow sunshine up their skirts." Sataya also works with people to help them along their spiritual path...to grow...to evolve. As the direct descendant of 14 canonized saints, she is uniquely positioned to provide pupils with divine guidance to enhance their spiritual understanding to live a better, more satisfying life. It is important to Sataya to teach her clients how to effectively manifest the things they desire in their lives. She is also a direct descendant through four lines of ancestry to the priest kings of France's Merovingian dynasty. Sataya is an alumnus of the University of North Texas and the University of Texas at Dallas where she majored in Psychology. Though not a licensed therapist, her knowledge of the cognitive sciences gives a nice therapeutic touch to her session with you when combined with her extraordinary psychic abilities. Located in the Dallas/Fort Worth area, she provides both in person and telephone sessions.